The social landscape is terrific fun, and it can give us a warm and happy feeling when people decide to "follow" us and proclaim they "like" us. That's nice enough, but when it comes to your business, good feelings don't necessarily make revenues grow. Those follows and likes have to account for more than just a pleasant pat on the back. As callous as it might sound, a business needs to convert these social "attaboy" moments into bottom-line benefits. Here are some tips to make the most of your business' social connections without appearing as if you're merely glad-handing in an insincere attempt to grub for sales. Make your business' social network pay off, for you and for your followers; here's how. Brand reach: In today's social culture, fans and followers are perpetually searching for something to consume. They're looking for opinions, advice and insight into what's available to make their situations better. That's where businesses and brands can be present to explain that what they have to offer can be of benefit to those looking to consume (and they're looking to consume every day). Real-time communication: When a fan or follower chooses your business, they're looking for interaction—right now. The social media experience provides a feeling of being on the "inside track" with a business. Fans and followers are looking for exclusive insight and privy information not available to outsiders, and they'll check in every day to stay abreast of what's happening. Social media allows businesses to develop this sort of real-time relationship with customers. Referral and lead generation: Every time a business gains a new fan or follower, they have an opportunity to engage that individual in transactions. It's not necessarily an exploitation of the relationship since the follower likely stepped forward to become engaged… so, no foul here. Reputation management: Businesses assign whole teams to manage their social outreach and response. Here again is a cost-effective method to establish, manage and maintain the business' reputation. And, given all the previous points made, the reputation can be affected in a real-time manner (good news can be immediately heralded; bad news can be immediately controlled). While some will decry that businesses are utilizing the social hotspots as venues for harvesting customers, the flip side of that argument is that many of the fans and followers out there have expectations of gifts, giveaways, and special offers. It's a two-way relationship, and one that both parties can utilize to their mutual benefit. This sort of reciprocal reward is best exemplified by the Facebook "like gate." 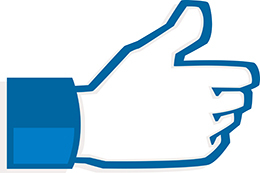 Fans who will click a business' "Like" button on Facebook will be granted special offers or access not available to non-fans. It takes a bit of extra work to create a custom app for your Facebook page to implement the like gate but it can be worth it. Remember, though, there are critics of the like-gate approach. Their argument is based on not knowing if they'll truly like a business' Facebook content until they've first seen it (which they can't do until they first click the "Like" button). Your job, then, is to be sure to provide compelling content that was worthy of the like; this is how you'll retain the customers who are following your business and continue to convert their attention into transactions. After you have the like or follow, it's important to keep feeding your audience a level of perks and prizes to make it worth their while to track your activity. In some cases, this can be inside information or exclusive downloadable content, again, giving them the feeling of being part of the inside crowd. Other times, and to the point of converting their attention into bottom-line gain, make special, fans-only offers that provide them discounts when making purchases. It's not exploitation; it's what they expect, so give it to them. Be it on Facebook, Twitter or elsewhere, account holders are granted plenty of space for custom graphics and other information sharing. It's OK to embed some images and information about your business and its products. Again, this is why fans and followers are keeping tabs on your activity; they're generally interested in what you have to sell. Make it worthwhile to them by including details about what you have for sale today and what's coming up tomorrow. You're a business and you have a duty to promote that wherever you interact with your customers. Avoid being overwhelming with your approach lest it become a one-way relationship. Otherwise, use the social spaces to engage, serve and transact with your followers. It will be a good use of everyone's time.